Purefecto: Entryway bench that looks good and easy on your wallet! 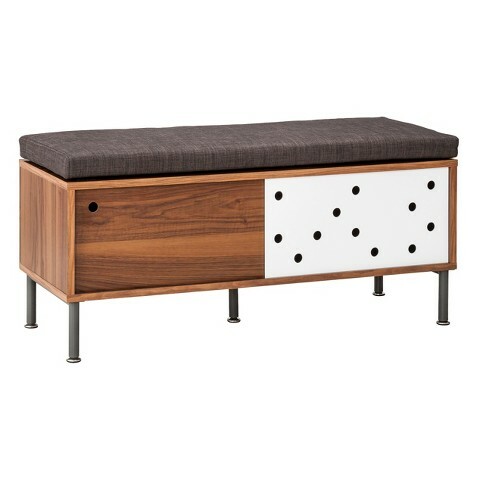 Entryway bench that looks good and easy on your wallet! If you go to an Asian person's home, you will likely find an entryway bench prominently at foyer area as quite a few of us grew up having to take off our shoes before going inside anyone's home. The logic behind that is you don't carry dirt into your home. I think this concept may have originally came from Japan as I don't think you can ever go into a Japanese person's home without seeing an entryway bench.